The gentle, flowing movements of yoga practice make it a low-impact exercise perfect for tackling aches and pains associated with stiff joints and muscles, common for arthritis sufferers. By committing to constant movement and stretching, joints become more lubricated, muscles are made pliable and lengthened, blood circulation is increased, and relaxation techniques help calm tense muscles. With roughly one in three Americans experiencing hypertension (high blood pressure), any activity, like the yoga practice, which helps reduce the risk for heart disease is critical. Growing scientific evidence has shown a strong association between routine yoga practice and a significant decline in systolic and diastolic blood pressures when compared to having no treatment for hypertension. A vital part of the overall practice of yoga is deep breathing. Both as a component of meditation as well as the movements and poses of yoga, deep breathing both increases lung capacity as well as hones concentration and control. For older adults who may suffer from ailments like obesity, chronic pneumonia, heart disease, or COPD, practice which helps boost lung strength can also aid the body in taking in more oxygen to help fight symptoms of breathlessness and fatigue. Reinforcing strong balance and coordination skills is a huge benefit for older adults who practice yoga. With roughly 1 in 4 adults of 65 experiencing a fall at some point, fall prevention is key to longevity as falls can result in hip fractures, hospitalization, and even death. Yoga poses that are completed free-standing or even with the help of a chair strengthen flexibility, your sense of balance, as well as coordination of your body parts. Osteoarthritis, or a loss of bone density, affects the older adult population at alarming rates. 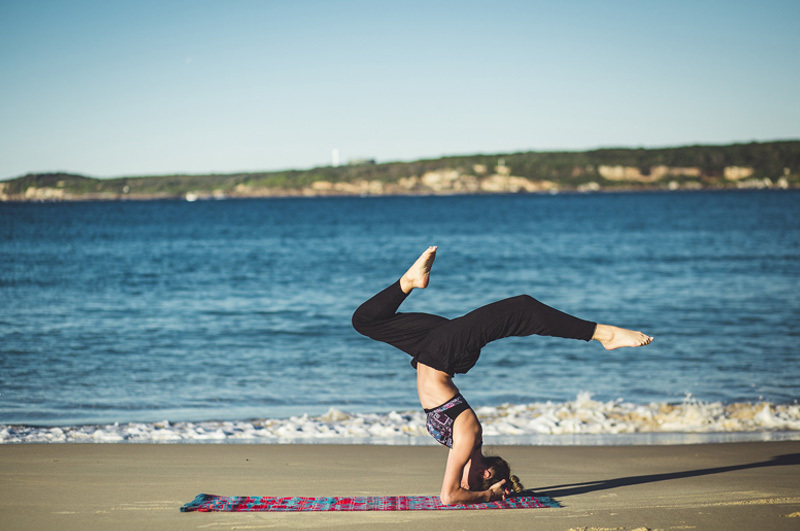 The physical fitness associated with yoga practice can actually cue the body to strengthen bones and potentially reverse signs of bone loss. In addition, yoga postures can enhance muscle tone and flexibility, from your arms to legs, feet, and core. With obesity being such a huge risk factor for common illnesses like heart disease, diabetes, and cancer, it is critical for seniors to find engaging and routine activities that burn calories and help them maintain a healthy weight. Yoga practice may burn between 125 and 200 calories in a half hour, depending on your height and weight. It’s a low-risk exercise for older adults, even those with mobility or balance issues, especially when practiced with the in-person guidance of a trained instructor. Yoga for seniors is a mindfulness cultivating practice that fosters a mind and body awareness few other exercises do. Why is this important? For older adults with chronic illness or depression, the meditation and postures of yoga provide a keen mental-physical connection that can help boost mood, give them more awareness over their own health and symptoms, as well as quell feelings of stress and anxiety. The rise in cases of Alzheimer’s Disease and dementia makes those conditions leading causes of death in older adults. Yoga practice boosts brain health and can potentially ward of cognitive decline – listening, following instruction, practicing coordinating movements and postures, in addition to meditation all stimulate cognitive activity and neural pathway development. This can strengthen brain cells as well as decision-making and memory skills. Yoga practice, when done with a group or in a class, provides a top-notch way for seniors to engage and interact with one another. Staying active and social plays an important role in maintaining a healthy lifestyle as it can combat feelings of social isolation, loneliness, and depression which can so often plague older adults who live on their own.